Giant dot-to-dot – in colour! 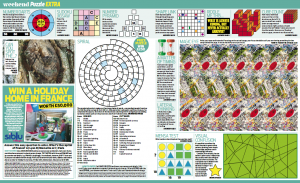 And many more, including word search, cube counting, shape division, ‘what connects?’, missing letters, matchstick, riddles, spot the difference, optical illusion, dis-em-vowelled, number pyramid, number darts, visual confusion, lateral thinking, logic puzzles – and more! 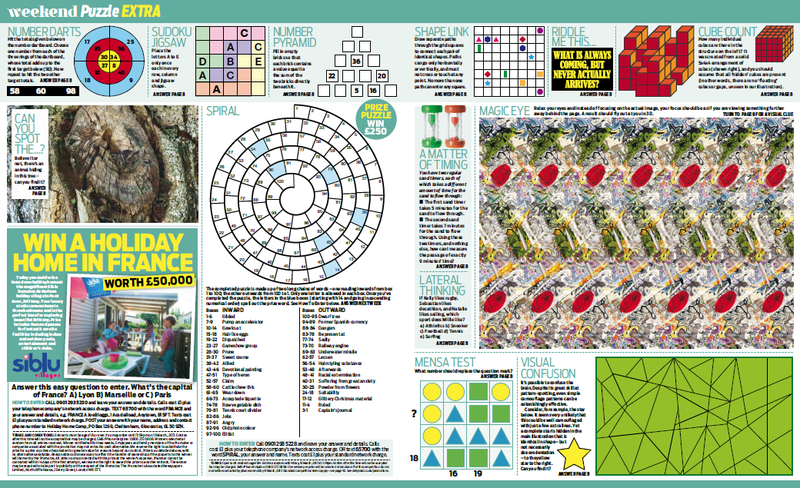 And what’s more, there are 4 more pages of my puzzles every single day this week in the Daily Mail, in addition to the paper’s regular puzzle content, and that selection will include some of the same plus some original puzzles such as a star-shaped 3D Sudoku. There is also a prize spiral crossword every day, so get your pencils ready!